Few would disagree if I said that the best part of a meal is the last course – the dessert. Not everyone can resist the temptation of devouring exotic sweet delights that instantly stir up the senses and gladden the heart, and not to mention the taste buds. Desserts are eaten in all parts of the world and relished by people of all ages. Each region has its own unique specialty. A common thread that runs between them all is that they’re all sweet to taste and a pleasure to eat. The Grecian love for food is well-known all over the world. We love to cook, eat the food we prepare, and spread our love to others through our food. And what better way to bond with people than over desserts! Greek desserts are sure to fill your heart with warmth and a feeling that can only come with eating something fulfilling. Our melt-in-your-mouth sweet preparations like the baklava, the bougatsa (or bogatses), and the almond cake are worth considering when celebrating a milestone, or even when you just want to satisfy your sweet tooth. Here’s more on how these 3 fabulous desserts came into being. The bougatsa is a Greek pastry which can be either sweet or savory. 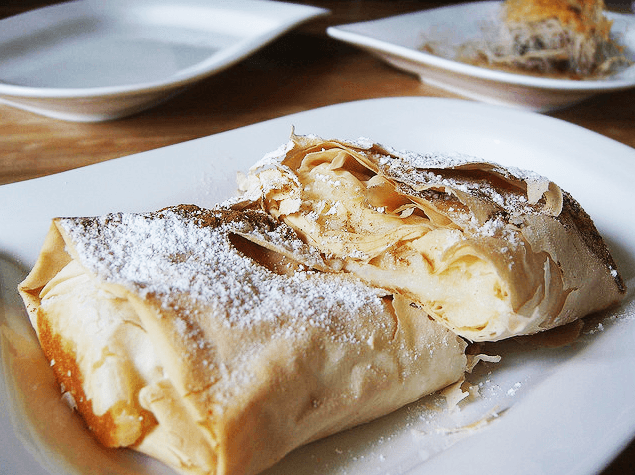 Greek bougatsa dessert is made with phyllo (or filo) dough wrapped around a sweet custard-like filling. It is then baked, dusted with powdered sugar or cinnamon, cut into pieces and served hot or warm. The phyllo is a type of unleavened flour dough and is characterized by its paper-thinness. 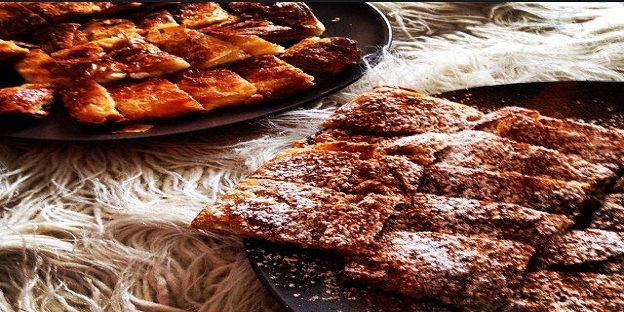 It is believed that bougatsa originated in the northeastern Greek region of Macedonia, Serres to be particular, because most immigrant Greeks established themselves there after the Greek-Turkish war of 1922. It was extremely popular in the northern Greek port of Thessaloniki as the Thessalonians found it to be a meal that would keep them full from the time they left for work until it was time to break. It is especially enjoyed and served with great pride in Chania and Heraklion in Crete. In fact, in Chania, which is Crete’s second largest city, it is referred to as bougatsa Chanion and is made in exclusive pastry shops which start early in the morning and go on until noon. The most famous places for bougatsa in Heraklion, the administrative capital of the island, are the shops on Morosini square. They are prepared by the descendants of Armenian refugees from Asia Minor. The most common filling is the one which uses the sweet semolina custard. However, fillings made with mizithra (unpasteurized cheese made from the milk and whey from goats or sheep) and minced meat aren’t unheard of. A look into the Ottoman dictionaries reveals that the word ‘pogatsa’ is a linguistic modification of the Latin word “foccacia” which means sweet pie and that bougatsa derives its name from here. However, sceptics argue that even if this was true, the bougatsa is not limited being sweet. In fact, there has always been savory bougatsa too. It is believed that the word ‘baklava’ made its way into English from Turkish, although the dessert is often thought to be of Greek origin. The history of this renowned dish isn’t particularly well-chronicled but it is widely believed that the Assyrians were the first people to combine a few layers of thin dough with chopped nuts and honey and bake this concoction in their traditional wood-fired ovens. In the early days, baklava was baked only on special occasions and was considered a food of only the wealthy until the mid-19th century. Not be left behind, the Greek seamen and traders traveling east to Mesopotamia soon discovered the Baklava, which fascinated their taste buds. Without wasting time, they brought the recipe to the city of Athens. 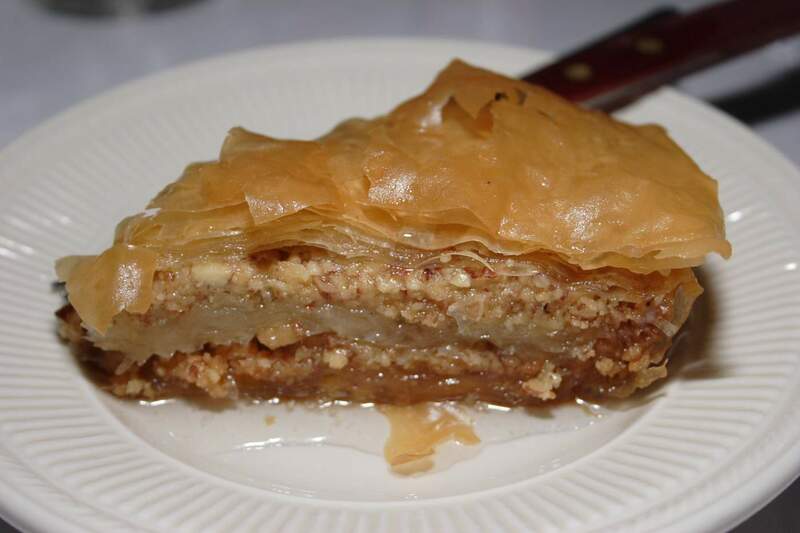 A significant input to the development of baklava by the Greeks is the phyllo dough-making technique that made it possible to roll it as thin as paper. When compared to the rough, thick texture of the Assyrian dough, this one felt much superior. In fact, the name ‘Phyllo’ (which means leaf in Greek) was coined by the Greeks. Baklava soon had various versions with the Armenians infusing cinnamon and cloves into its texture, while the Arabs used rose-water and cardamom. The difference in the taste was delicate and each region, whether Persia or Rome, had its own type of baklava. In 15th Century A.D., the Ottomans invaded Constantinople and until its decline in the 19th century, the kitchens of the Imperial Ottoman Palace became the culinary hub of the empire. The 18th century witnessed the cosmetic enhancement of the shape of baklava as well as in the method of preserving it – on a baking tray called Sini. As the Empire opened itself up to the culinary influences from the West, the Imperial kitchen wasted no time in engaging Monsieur Guillaume, a former pastry chef of Marie Antoinette, who fashioned the dome technique of cutting and folding the baklava pieces, which was named Baklava Francoise in honor of its French creator. The ancient Greek desserts incorporated a lot of nuts and honey into their sweet preparations. In fact, in those days, wheat and other protein-rich grains were scarce and used only to make bread. Using them to make sweets was out of the question. Almonds and walnuts, on the other hand, were abundantly available even in the arid landscapes of Greece. In fact, ancient Romans referred to almonds as ‘Greek nuts,’ as they were first cultivated here. 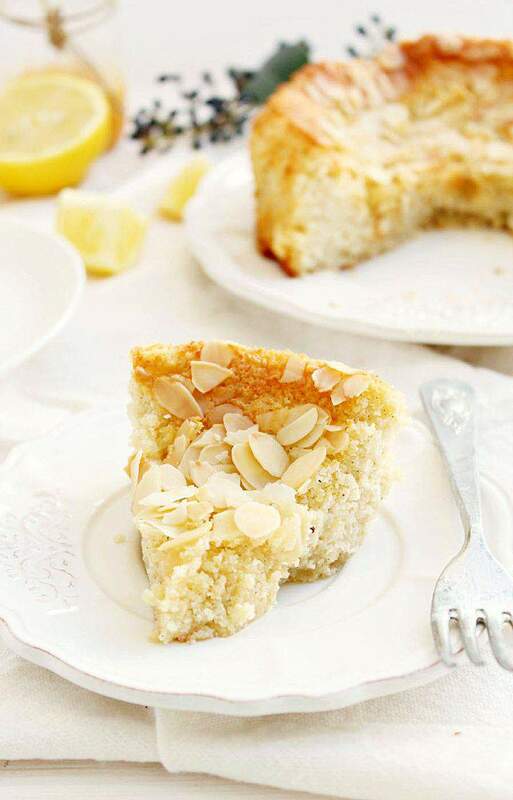 It’s no surprise that several Greek desserts like tortes and cakes feature almonds as the main flavor. Nuts began to be used in cooking around the 14th century. They were ground to flour-like consistency to make breads and cakes. The Greeks invented beer as a leavening agent and used nuts, dried fruits and honey to sweeten their cakes. They started making round cakes to honor Artemis, the goddess of the moon. Overtime, other cultures began to make cakes and ate them for their taste, rather than to honor Artemis. The great thing about delving into the origins of a particular food is that you realize the character of the cuisine and the influences associated with it, which makes eating them even more pleasurable. I bet the next time you tuck into any of the above Grecian desserts, you will not view them simply as things to eat, but more of an experience to be savored. Do give the above Grecian delights a try. I’m sure you’ll love them!